Celebrating its first birthday in the UK, music streaming service Deezer today announced that it has expanded availability even further worldwide and will now be available in 160 countries, updating its website and mobile apps and taking its service free to match its more high-profile rival Spotify. At an event in London’s Abbey Road Studios (the very same studio made famous by The Beatles), Deezer CEO Axel Dauchez unveiled his company’s latest attempts at reducing levels of piracy and getting people to enjoy music beyond the MP3. It all starts with its launch in a further 76 countries throughout Africa, the Middle East and Asia, now operating in more countries than any of its music-streaming rivals. However, if you live the US, there will still be no Deezer for you. “We are not going to the US. One day, but not now. The market is not ready,” remarked Dauchez. Dauchez showed off the company’s new homepage and website features, highlighting its enhanced Facebook integration, top user recommendation and how it uses local editors to recommend music in specific countries. Users can also create featured playlists, which when submitted are screened by editorial teams and posted up for other users to engage and share. In a move to take back market share from competitors such as Last.fm and Spotify, Deezer will also recommend local concerts and festivals, connecting users with their favorite artists at local events…thanks to a Songkick partnership. The company’s updated iPhone application was demoed on-stage, showing how users can now access their friends’ recent played tracks, favorite artists and playlists, increasing social sharing not only on mobile but across the Web. It looks as if much of the funding will be spent on sustaining a free streaming model in countries around the world. Dauchez was quick to point out that a free model would not be sustainable in the long run and would only serve as a way to get users to sign up for subscriptions. [We will] launch an international free service alongside global marketing campaigns that will include involvement in local music life through events and partnerships to raise brand awareness. The free service will be a recruitment channel to encourage free service users to convert to paid subscription, rather than a model in of itself. It will be shaped for each individual country according to the competition. However, he did note that money would be spent on highlighting the service in local markets, which will see the company on-board users via its carrier deals and free services, then push upgrades. Spotify now offers a free service to users, serving as a taster for its full service, which now boasts more than 20 million tracks. 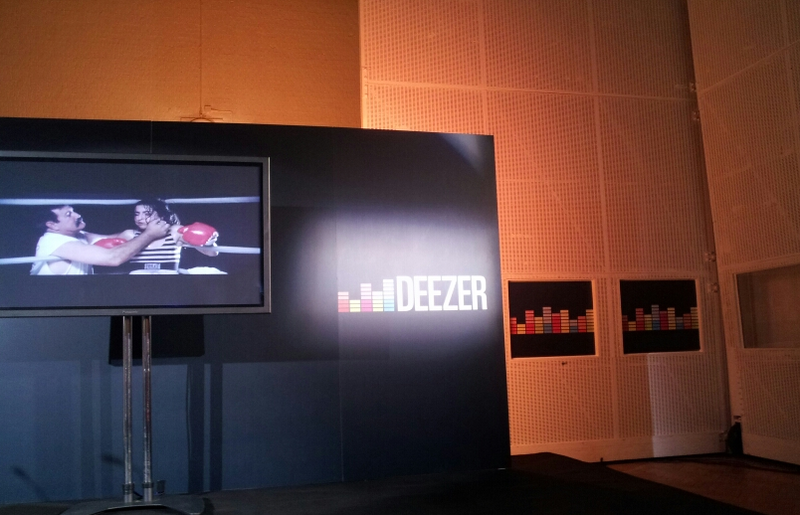 Deezer is pursuing the same model, constantly refreshing its service to appeal to users all over the world.